Present-day southwest Ireland was the scene of an historic first on April 17. The “first” was the beginning of the public announcement of the 50-year Memorial to Flying Tiger Flight 923, that crashed 500 miles off of the Irish west coast of Ireland in September 1962, taking the lives of 28 persons. The location of the event was Galley Head point, a small, green, grass-carpeted peninsula about 40 miles west of Cork city. That is the point at which helicopters crossed from ocean to land on the way to medical treatment. The present-day activity centered around three men who were there a half of century earlier. Crash Survivor Fred Caruso (aka O’Caruso), who was a 21-year-old combat paratrooper and Army private from Nanuet, NY at the time of the incident. 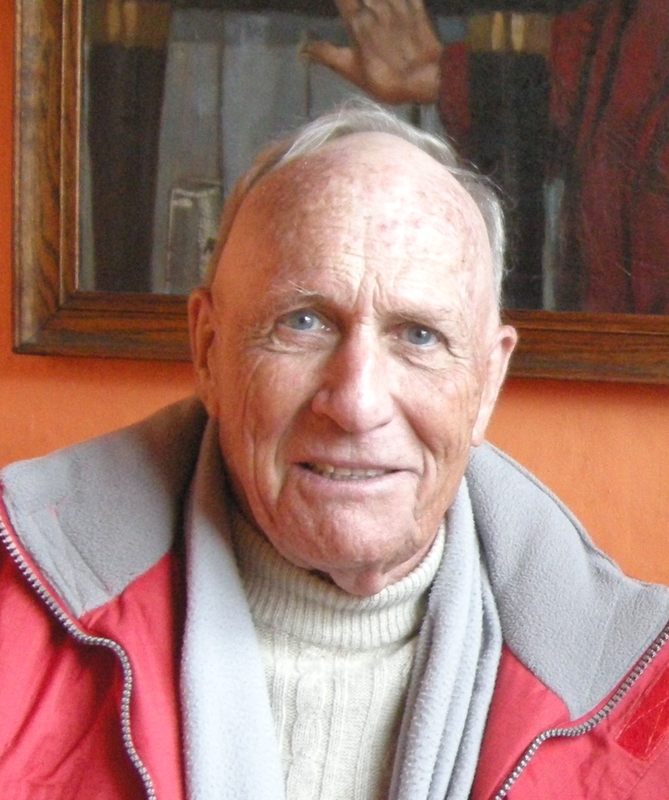 He currently lives in both Eagle, Colorado and Glengarriff, West County Cork. 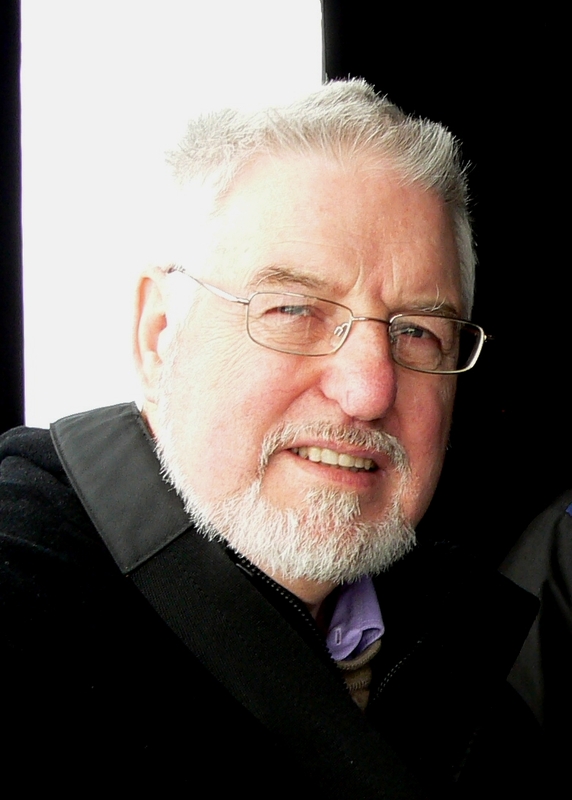 He is the author of Born Again Irish, a memoir chronicling the demise of Flying Tiger 923 and the impact it had in driving him to become Irish. A Seaman Rescuer Pierre-Andre Reymond, who was then only a 19-year-old Swiss lad and a shipping apprentice. He was a member of the crew of the Swiss freighter Celerina. The ship plucked 48 survivors from the cold North Atlantic on September 23, 1962, and provided them with food, clothing and shelter over the next five days. 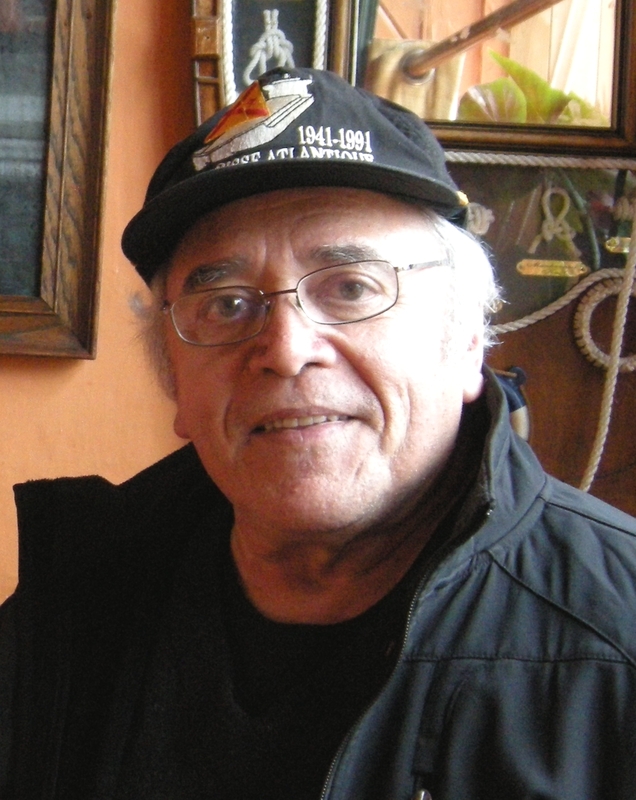 Reymond is presently living in Laredo, Cantabria, Spain. 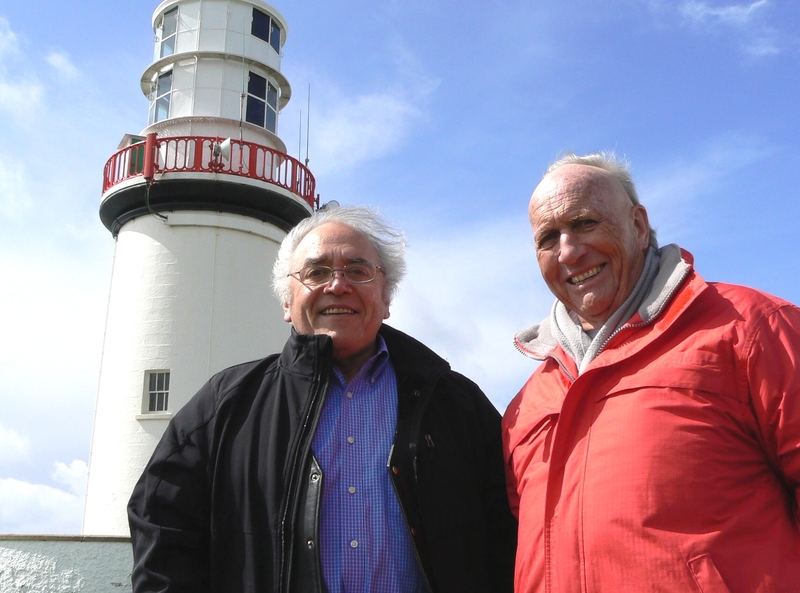 – And escorting the visitors through the lighthouse facility was its captain and his chief maintenance manager, Gerry Butler. The lighthouse ceased functioning in its traditional regimen with the advent of global positioning satellites, however it remains fully functional and operational, 24-hours a day, 365 days a year, in the event of satellite failure. It is remotely monitored by a team of Telemetry Systems Officers at their headquarters near Dublin and supervised and maintained on site around the clock by a part-time attendant light keeper. The winds were blowing at gale force, similar to winds on the day the Flying Tiger attempted its ill-fated ditching maneuver. Awesome waves and ocean swells could be seen from the lighthouse tower. As is typical of Irish coastal weather, the winds blew, the cold rain kept splattering, but the sun shined brilliantly during the entire tour. The visitors were treated to a private briefing and history of the facility. The Irish Examiner newspaper is planning to run a feature on the tour and Flying Tiger incident over the weekend. On the day of the airlift in 1962, the Swiss ship Celerina was stopped some 8 miles off the coast. Nearby was the Canadian Aircraft Carrier Bonaventure. Two bright yellow ambulance helicopters of the British Royal Air Force shuttled the survivors. Shackleton aircraft, reported as being capable of staying in the air for 14 hours without refueling. 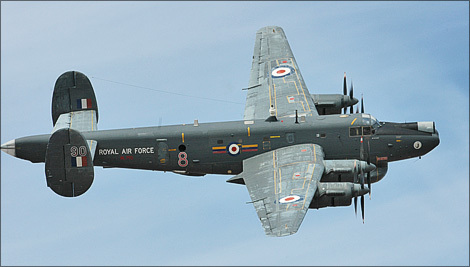 British Shackleton aircraft were used extensively in the sea search for bodies following the Flying Tiger ditching. Costal weather on the day of the 1962 Cork airlift can only be described as the Irish would say – “brilliant.” There were no wind, no clouds, no rain, just brilliant green grass on the land for miles and endless blue on the ocean and in the skies. From the Galley Head tour, the group moved on to the new Cork airport, which was built immediately along side of the old airport. At the time of the disaster, the Cork Airport had been open for only one year. Three members of the original Cork Airport emergency rescue team of 50 years ago, and the chief of the present day emergency rescue team, met with the three above to exchange thoughts on the many changes that have occurred in rescue and to share memorabilia. A report of that most interesting meeting will be presented at a later date. This entry was posted in passengers, rescue teams, Uncategorized. Bookmark the permalink. Fred, this is great. This will make another great memory for you and Ellen. Yes Fred, it was a great reunion in beautifull Irland. Please remember that theMaster and crew of the swiss ship merely applied one of the most fundamental principles of navigation, the Safety of Life at Sea. If we succeded in our mission, it was also thanks to all those who helped us in the background. I am thinking of the other ships that relayed information and of the people on the ground or in the air who sat before their radio transmitter, their desk or their plane’s control panel. Fred, wonderful job. You are a GREAT person.